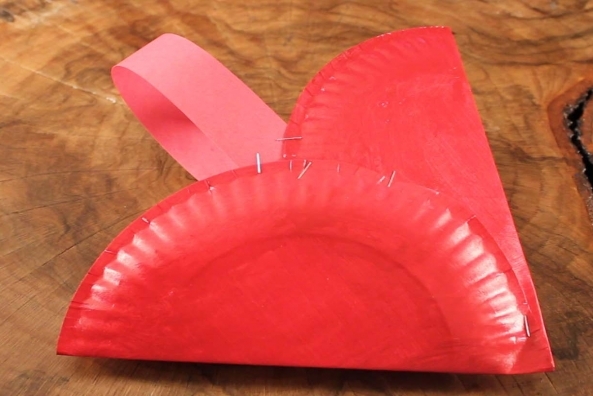 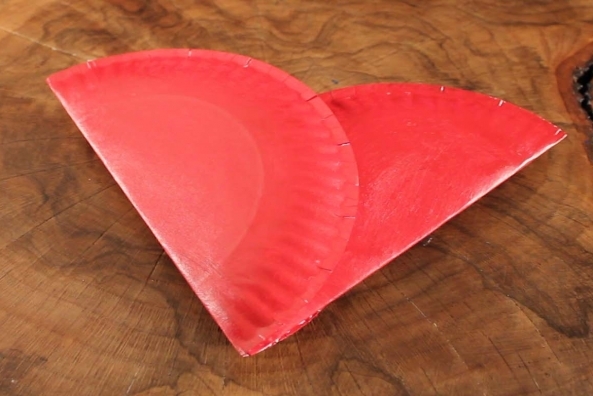 Two paper plates create this neat heart-shaped basket! 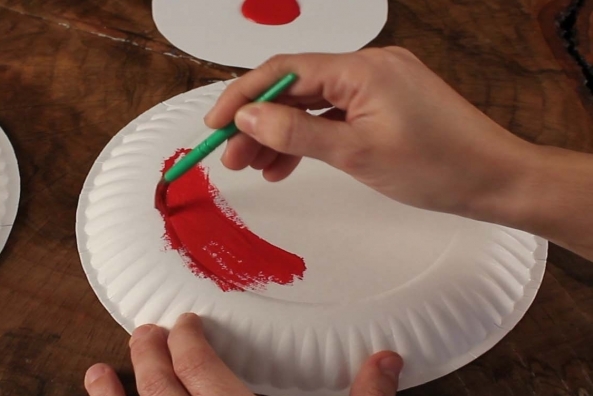 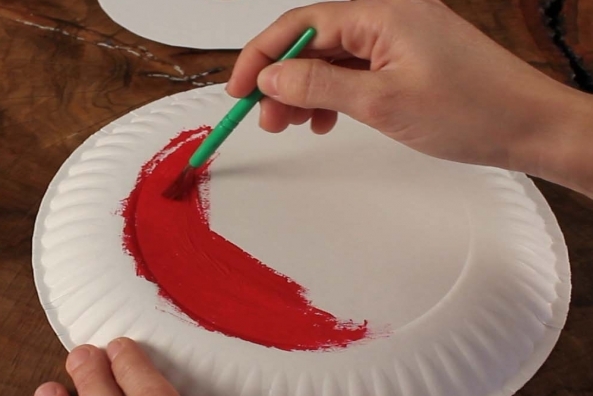 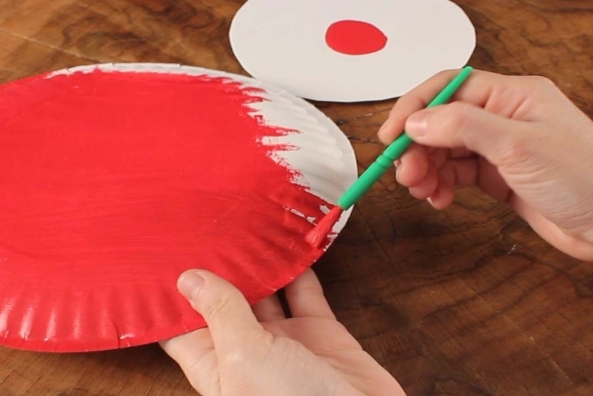 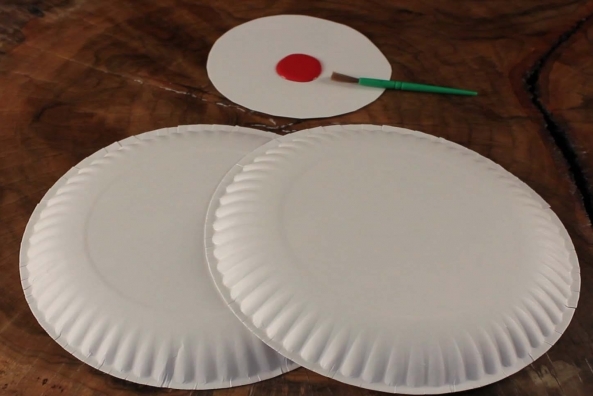 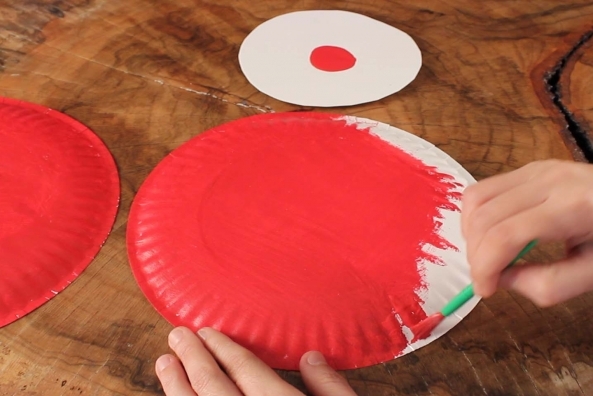 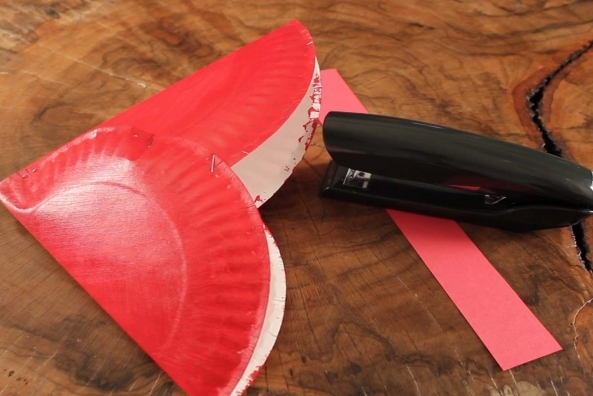 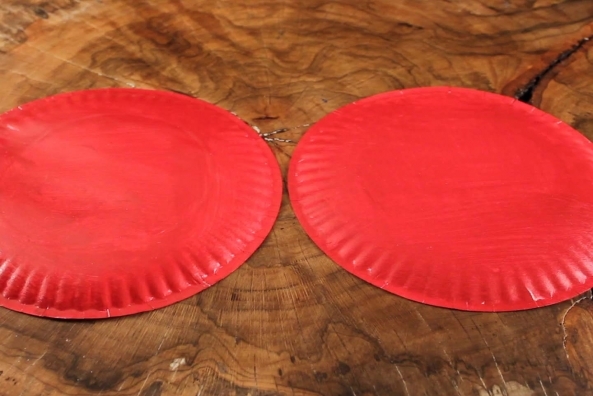 Paint two paper plates red. 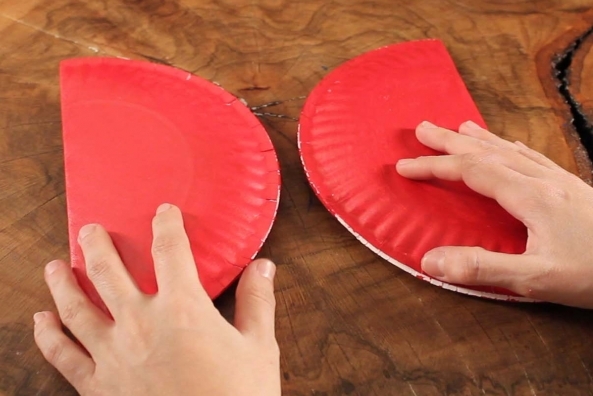 Fold two paper plates in half. 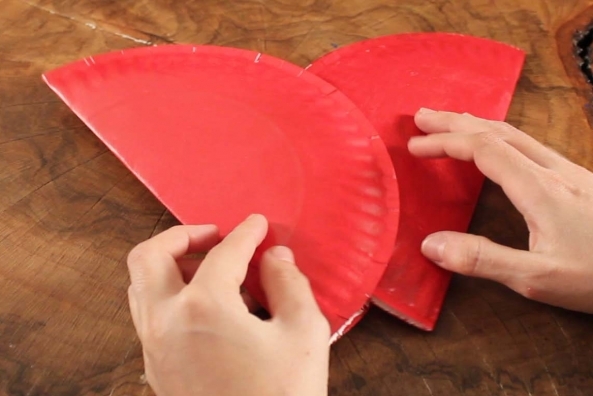 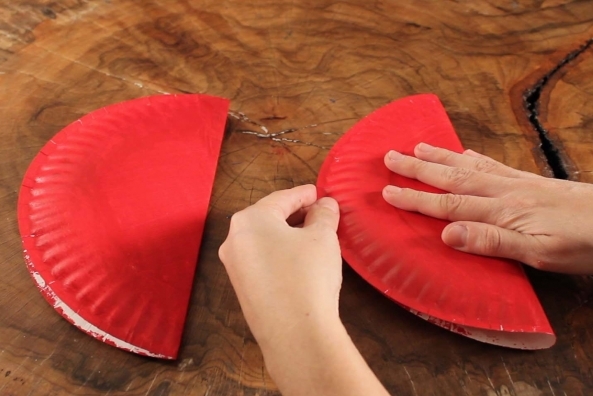 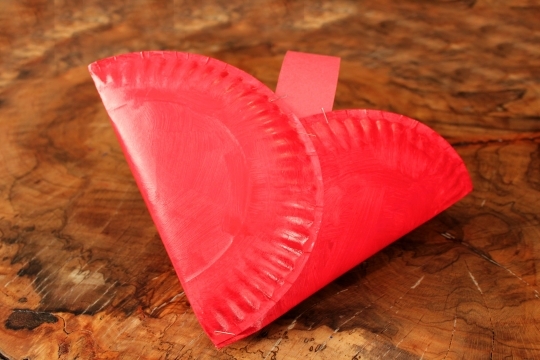 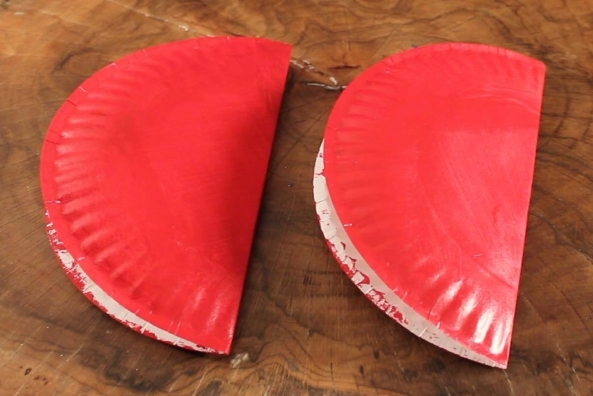 Place the two folded paper plates with the round side facing each other and slide them together to make a heart shape by overlapping the plates. 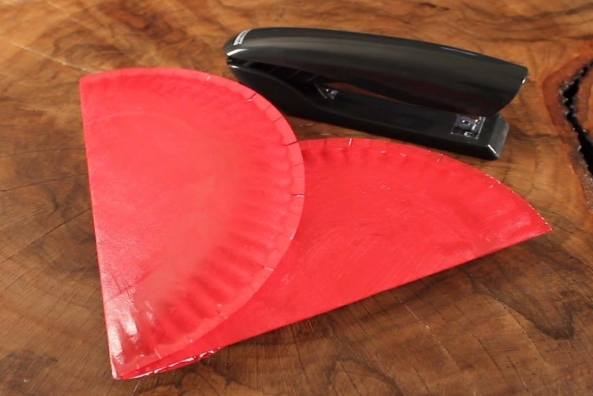 Place a few staples to hold the heart shape. 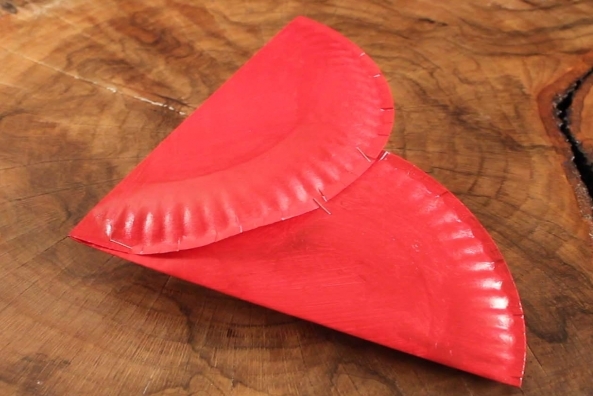 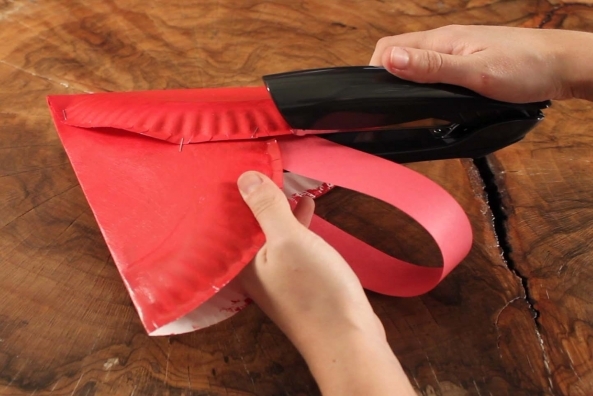 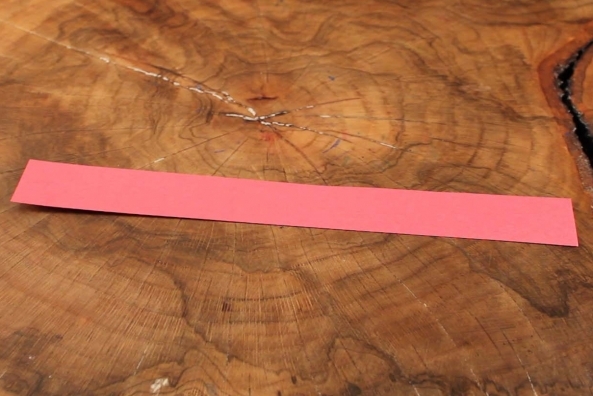 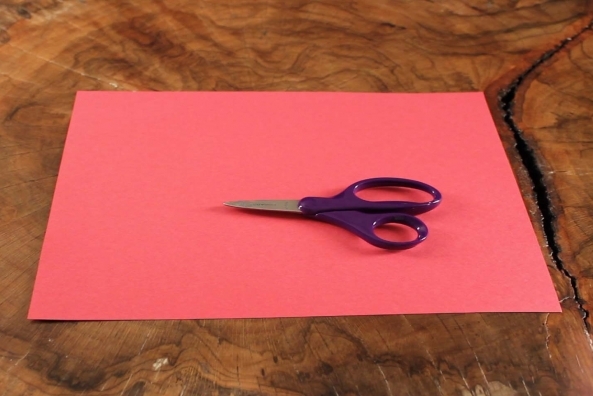 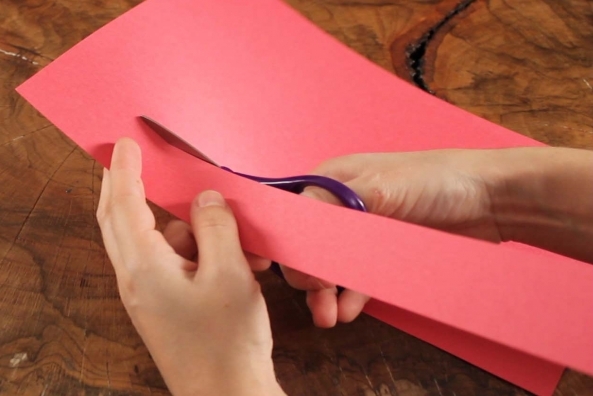 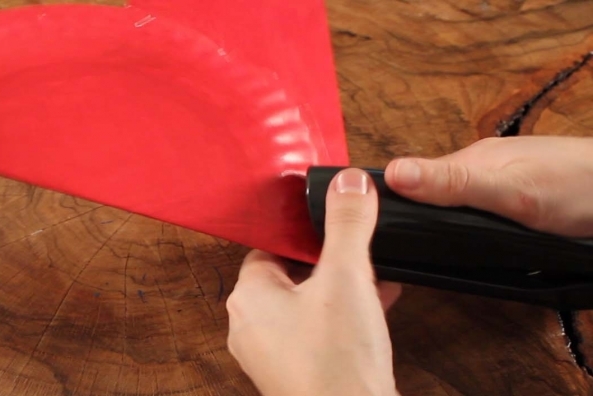 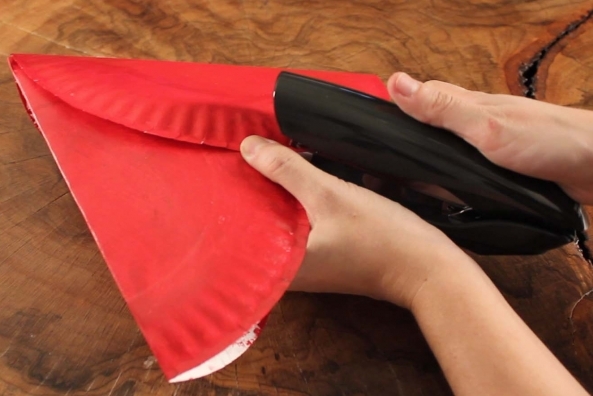 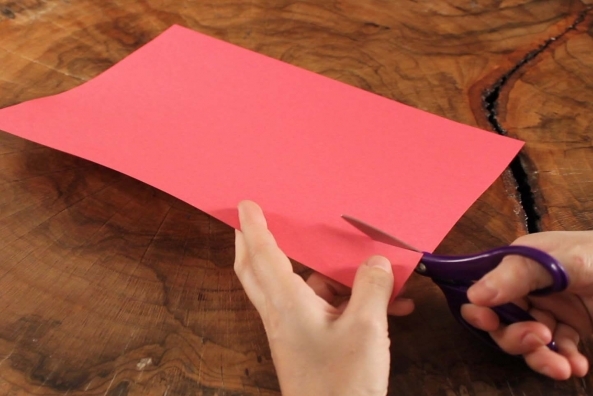 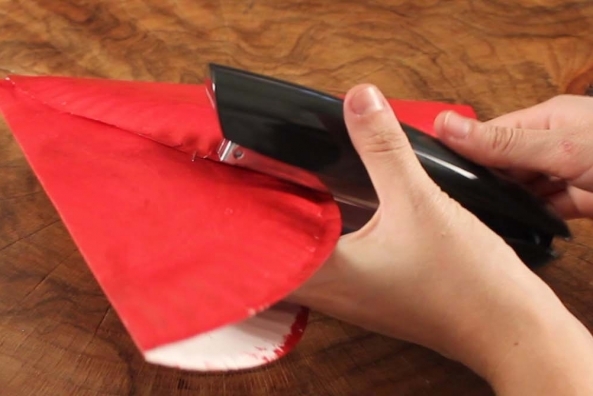 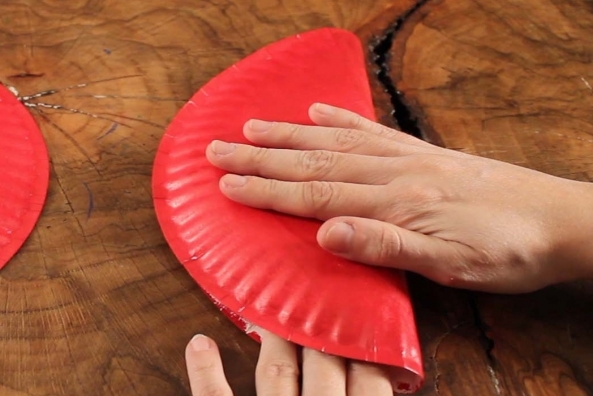 Cut a strip of red construction paper long enough to be a handle. 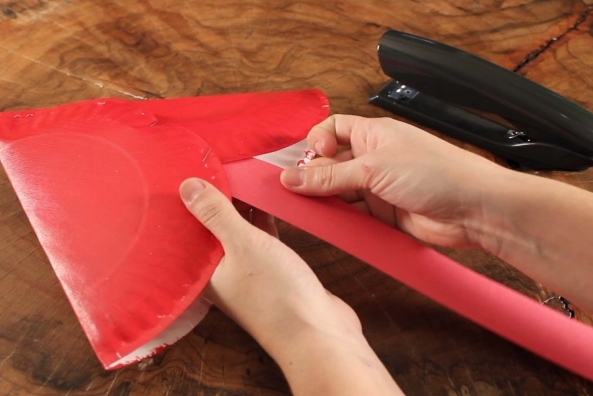 Staple the handle onto the opening of the heart shape.